Im not really sure why this is the first thing mentioned on Apple’s list for improvements in OSX Lion, but we can discuss it anyway. I am curios as to how many people will actually use the App store on their computer. My guess is that Apple wants to make everything very familiar to customers who have an iPhone and are looking to buy a Mac computer. What better way to sell apps than to make the process exactly the same as what is done on the iPhone. I did find one thing that is very interesting. According to www.appshopper.com and their top 200 list, app sales for the iPhone and OSX are significantly different. 12 of the top 15 apps for the iPhone iOS are games ( e.g. Angry Birds, Words With Friends, etc.) while there are only 2 games in the OSX top 15, Angry Birds and Plants vs. Zombies. The target market for the OSX Mac App Store is clearly not the same. The top OSX apps seem to be mostly Apple iLife applications like Pages, iPhoto, Keynote, etc. Also, these OSX apps are much more expensive. 7 of the top 10 are $14.99 or more, including Aperture which is $79.99. Also, it’s looking like many small software companies that already have software available online, are joining the Mac App Store to help sell there stuff. Popular programs like Pixelmator, Things, Rapid Weaver, etc. 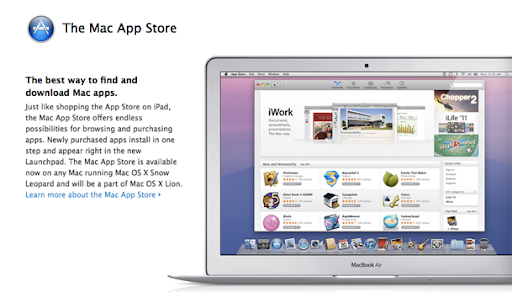 which have always been available from the company website are now found in the Mac App Store. If you are a lover of Apps for the iPhone, iPad, or OSX, i would suggest visiting the AppShopper website mentioned above. They have all sorts of interesting information about apps that are available, including a Blog and a What’s New page. Also, I am interested in hearing about your thoughts on the OSX App store. Have you purchased something from it? what are your thoughts about it? With the release of OSX Lion speculated for sometime in the next few months, my curiosity has been raising about the new features. 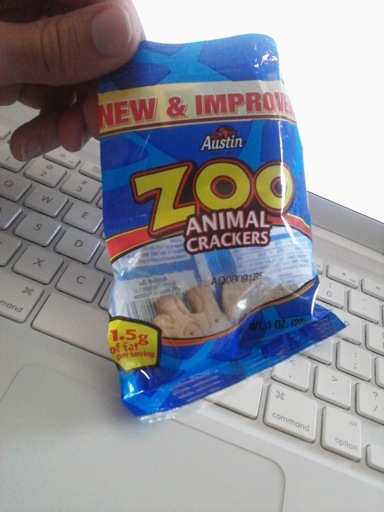 Many products claim to be “New and improved” ( including the animal crackers i just finished), but none have been able to deliver like the latest products from Apple. Both young and old are familiar with the new iPad, the iPhone, and the already iconic iPod. But Before any of these were ever even thought of, Apple was making a great operating system for the Mac line of computers called OSX. Beginning with 10.0 “Cheetah” in 2001, and 10.1 “Puma” later that year, Apple had a truly created a “new and improved” computer experience. Since then, they have upgraded to a new cat every one or two years bringing us to the king of all operating systems, OSX Lion. Over the next several weeks i am planning on breaking down the new features that have already been announced (see them here: http://www.apple.com/macosx/lion/), and giving you an unbiased preview of OSX Lion. I am curious to see what the excitement level is for this new OS as there are more Mac users than ever before. I hope you will enjoy these posts as well as contribute your thoughts on the new features.